RTÉ has announced it is inviting songwriters and performers, who have a proven track record of success in the music industry, to submit a song to be considered to represent Ireland in the Eurovision Song Contest next May. 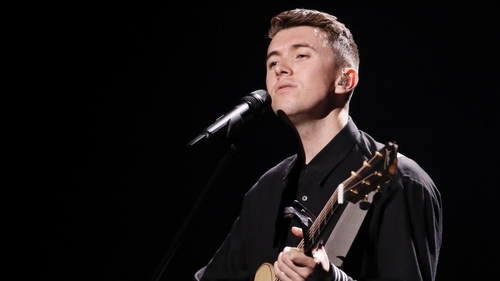 The Eurovision Song Contest is the largest entertainment show in the world, with 189 million people tuning in to watch this year's contest in Lisbon, Portugal, where Ryan O'Shaughnessy represented Ireland. Executive Producer and Head of Irish Delegation Michael Kealy said: "We were really proud of the Irish performance in Lisbon this year. Months of work went into planning our Eurovision act, bringing together the various audio and visual elements, from song arrangement to choreography to lighting design. "The performance of Together by Ryan O'Shaughnessy and dancers Kevin O'Dywer and Alan McGrath with backing vocals from Janet Grogan, Remy Naidoo and Claire Ann Varley received worldwide acclaim when performed on stage and created headlines around the world. "Together placed 16th in the final which is the best result since Jedward came in eighth place in Dussledorf with Lipstick in 2011." Kealy added: "For the Eurovision Song Contest 2019 we want to produce a world-class act that will do Ireland proud on stage in Tel Aviv and in front of a worldwide audience of nearly 200 million people. "The Eurovision Song Contest is incredibly competitive so we need a top class song, with instant appeal and a highly experienced act who is used to performing live in front of large audiences." The closing date for submissions is 5pm on Friday, November 23, 2018. The 64th Eurovision Song Contest will take place in Tel Aviv in Israel next May.